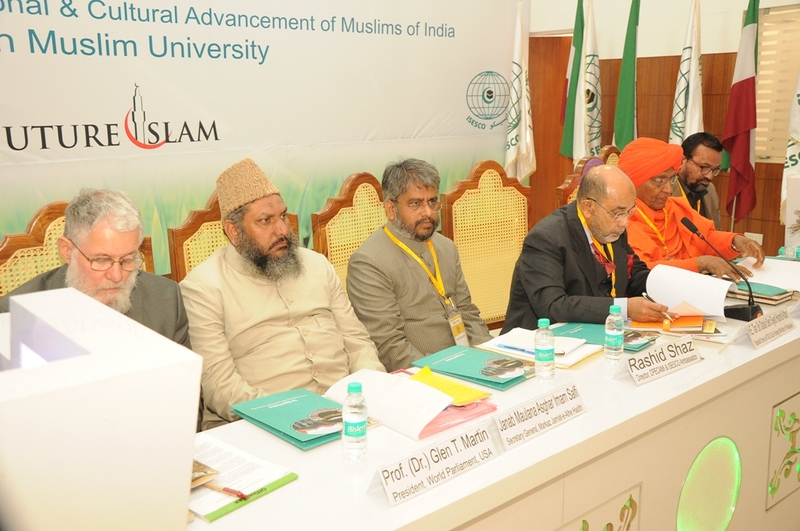 ALIGARH December 17: Centre for Promotion of Educational and Cultural Advancement of Muslims of India (CPECAMI), Aligarh Muslim University today organized a two-day International Conference on “Reconfiguring Interfaith and Interfaith Understanding”. Delivering the keynote address, Syed Hamid Albar, Ex-Foreign Minister of Malaysia and Special Envoy of the Organization of Islamic Countries (OIC), said, “The world is in a state of siege and Muslims are besieged. The blame falls squarely on the head and shoulders of the Muslim community. Some had even blamed this on the religion for not being in sync with modernity and civilization and others blame Muslim scholars and countries for not taking necessary steps to condemn or dissociate themselves from these horrendous crimes of violence or terrorism”. He pointed out that the Organization of Islamic Countries, which is the second biggest organization after the United Nations, had all denounced these criminal acts of violence against fellow human beings in the name of religion. There is nothing in the teachings of Islam that propagates violence or killing for its own sake. Syed Hamid Albar said that Muslims and their religion have not suffered so much as they are facing today. They are humiliated and their religion insulted, undermined as a result of those who have hijacked Islam. Special Envoy of the OIC, Syed Hamid Albar asserted, “The conflicts and disputes between different faiths and within religions that happened due to misunderstandings, ignorance or lack of knowledge, which resulted intolerance, will bring harm to the community at large and to the future generations if no actions are taken to address them”. He said that the freedom of religion did not refer to value or belief, but disconnecting religion from the wrong use of power and politics in order to lead dialogues and engagements that would prevent open conflict. Prof. (Dr.) Glen T. Martin, President, World Parliament, USA said that world citizens affirm the rule of just, democratic laws based on protection of civil liberties and human rights. On human rights, Prof. Martin said that his organization affirms universal human rights and dignity. All people have dignity because all people participated in the miracle that is human life. 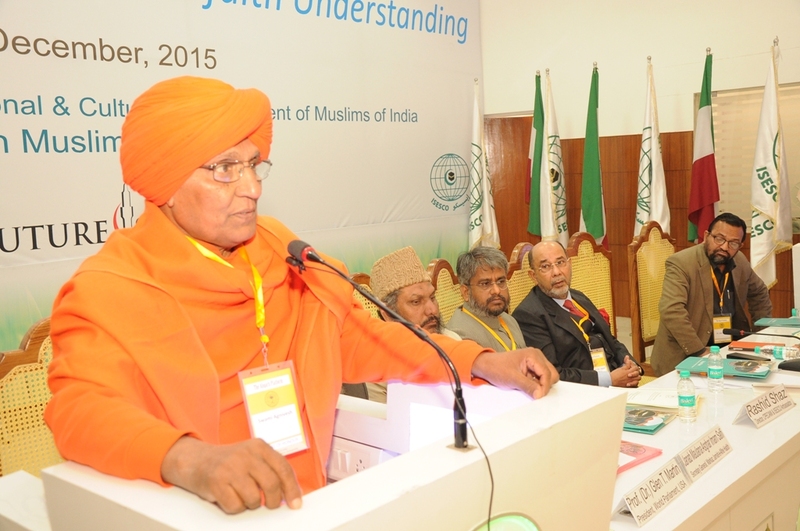 Noted social activist and Arya Samaj leader Swami Agnivesh said that we should respect all religions and promote interfaith understanding. He said that the founder of the Aligarh Muslim University, Sir Syed Ahmad Khan was very close to Swami Dayanand Saraswati, the founder of Arya Samaj. He said that the common spirituality must be promoted. Swami Agnivesh said that his organization has played a key role in liberating bonded labours. Prof. Rashid Shaaz, Director of the CPECAMI said that a large number of scholars have been invited to attend the conference and initiate interfaith dialogue to resolve the crises.